Turn your passion for cars into a challenging and rewarding career. 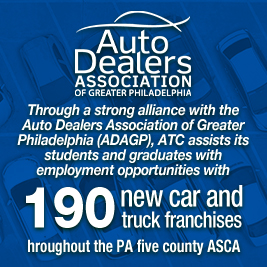 The Automotive Technology Program at ATC gives aspiring automotive technicians the training needed to land careers in automotive shops and dealerships. Through the training at our automotive tech school, you’ll gain a strong understanding of what’s expected from a professional technician. Big dreams. Big engines. Big future. Through the diesel mechanic school at ATC, students interested in the world of heavy-duty machinery can receive the focused training needed to become tomorrow’s diesel experts. Students of ATC’s Diesel Program will learn all about the various aspects of the world’s largest vehicles. Fast cars. Burning rubber. Raw fuel. If you have a passion for fast cars, the Hi-Performance Technology Program at ATC exposes students to the world’s most impressive engines. 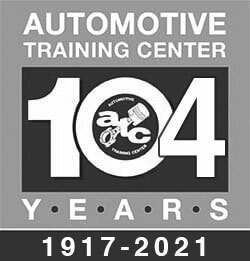 Through the various automotive classes that are part of ATC’s hi-performance auto school, you can be the driving force behind a vehicle’s exceptional performance. Turn accidents into opportunities…career opportunities. 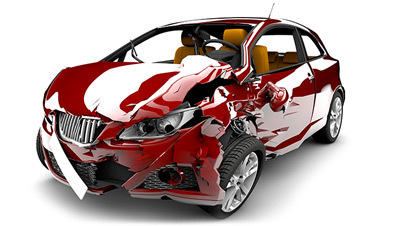 Accidents will always happen, and well-versed collision repair technicians will always be in demand. That’s why the Collision Reconditioning Technology Program at ATC strives to give students a complete training regarding vehicle restoration. During your time with ATC’s auto repair school, you’ll learn all aspects of the process of making a damaged vehicle look new again. Marine Service Technology offers an ocean of opportunity. 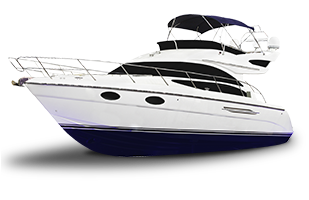 If you love the boating industry and have a desire to work on the water, you can fulfill your dreams by enrolling in the Marine Service Technology Program at ATC. Our marine technician program provides a comprehensive curriculum designed to introduce the students to the major marine systems and sub-systems utilized in the industry today. 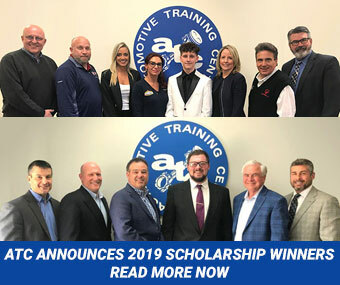 Take a tour of Automotive Training Center’s campuses in Pennsylvania and hear testimonials from recent graduates and employers who have hired ATC graduates, and see how ATC can take your passion to the next level. Get an exclusive inside look at a day in the life of an ATC student to see how our Automotive, Collision Repair, Diesel, Hi-Performance, and Marine Service technology programs lead to exciting and rewarding careers. 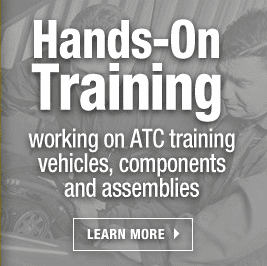 COMPREHENSIVE, HANDS-ON TRAINING IS ATC’S APPROACH! 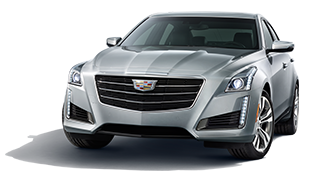 Breaking out in today’s automotive industry demands mechanical know-how and experience. Who better to learn from than professionals who’ve already earned their stripes out in the field? 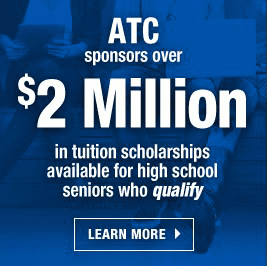 ATC students learn the basics (and the not-so-basics!) 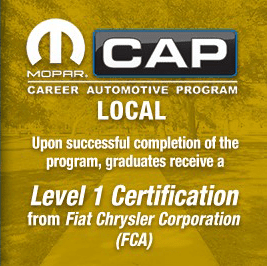 of vehicle diagnosis, repair, and optimization from instructors certified by the National Institute for Automotive Service Excellence (ASE), I-CAR, the American Boat and Yacht Council, and MOPAR CAP to name a few. 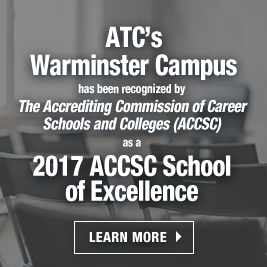 ATC students don’t just hit the books in the classroom; 50% of their time is committed to exercising that education in a modern shop setting, complete with the tools, equipment, and technology used by today’s shops and service centers. They say experience is the best teacher. Whether that’s transforming lessons into engine rumblings or troubleshooting an issue under the hood as a group, hands-on training helps students solidify their understanding and develop an actionable, real-world skill set. From diagnosing an issue by its sound to learning a technician’s pace, precision, and professionalism, Automotive Technology Program students become vehicle repair experts who are eligible for entry-level auto technician positions. 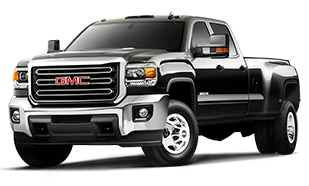 Diesel engines power some of the world’s most-relied upon equipment. Diesel Technology program students learn how to keep these vital motors running strong, gearing up for a career in the rapidly growing field of diesel. If engine tinkering is your forte, this automotive technology program variant may be your calling. By learning the testing procedures and mod techniques associated with boosting engine output, Hi-Performance Technology students become avid motor specialists, ready for the pit crew. No two damages done to a vehicle are the same, and the study of Collision Reconditioning Technology requires a skill set just as unique. Paintwork to framework, those enrolled in the I-CAR Professional Development Program at ATC learn what it takes to make damage done to a vehicle disappear. The chance to exercise your love of mechanics on the water is yours when you enroll in Marine Service Technology studies at ATC. By immersing yourself in the workings of inboard and outboard engines, you’ll be ready to get your feet wet in an industry that’s in high demand. For technicians interested in helping ensure safety and compliance on the road, these courses will provide you with the experience and training you need to become certified to conduct safety and emission inspections for the state of Pennsylvania. Want to learn alongside seasoned pros on industry equipment? Want to earn an education and work in our modern automotive shop facilities? 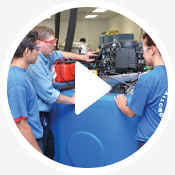 Ready to learn how to take your love of engine performance, computer controls, heavy machinery, vehicle painting, or marine engine repair to the next level? From our staff and programs to our history, accreditation, and awards, we hope that you’ll continue exploring our website, so you can get to know us a little better. When you’re ready, we’ll be waiting at the starting line!